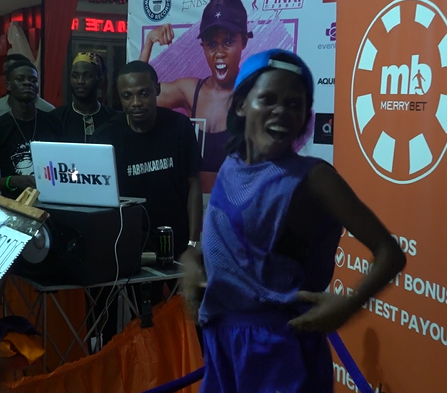 Pinki Debbie breaks the Guinness World Record for longest dance marathon by individual – Royal Times of Nigeria. Nigerian professional dancer Odumewu Debbie, a.k.a Pinki Debbie has joined other Nigerians like Kaffy and DJ Obi on the Guinness world record. She broke the record for the longest dance marathon which was previously held by an Indian woman, Kalamandalam Hemaletha who danced 123 hours 15 minutes. Pinki Debbie has danced for over 124 hours as at 12:00am on November 23rd, 2017. and is still dancing. She will be ending the challenge by 4pm on November 23rd, 2017.